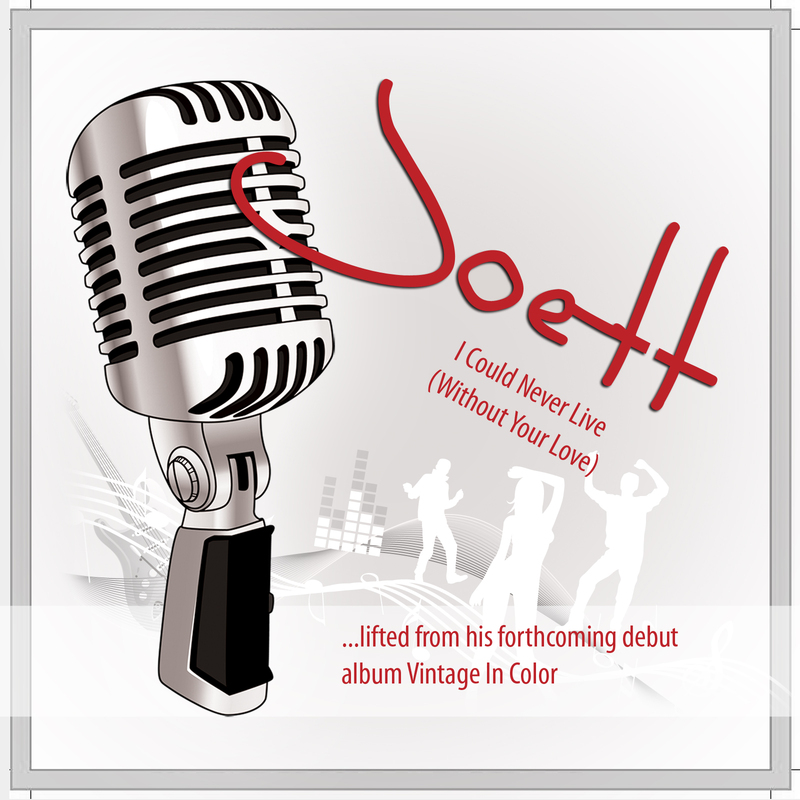 This is to inform you that my new pop single "I Could Never Live (Without Your Love)" is now available on CD by post. Better yet, when you place your order, I will autograph the CD before it is mailed out to you! 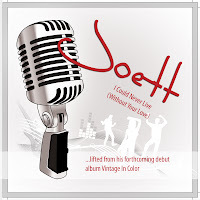 Here's the link: http://joettmusic.tripleclicks.com To listen to 3 versions of the song on Internet radio, visit: http://jango.com/music/joett and click Play All. Yes, it has been a while since my last post. Well, I have been busy. 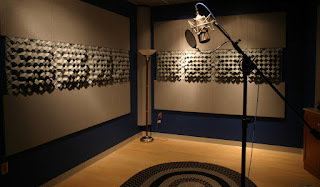 Teaching voice; a new record to promote; and the song goes on. I had East Africa TV's Nervana crew here yesterday filming one of my vocal coaching classes and then an interview with me thereafter. It was wonderful. Really nice people. Lotus, you're awesome! The program, I'm told, airs next Tuesday 1st March at 7pm... and I believe there is a repeat on Sunday. Check your TV guide for updates. Jazz for Relief -- Next week Saturday 5th March, if everything goes according to plan, I will perform a jazz set at the Jazz & Blues Bar located on the 9th floor at the Harbour View Suites Hotel on Samora Avenue, Dar es salaam. It will be a charity event we are naming Jazz for Relief Night in aid of the recent bomb blast victims in Gongo la Mboto. We're looking for sponsors. If you know anyone or any business that may be interested in sponsoring this event, please drop us a line. 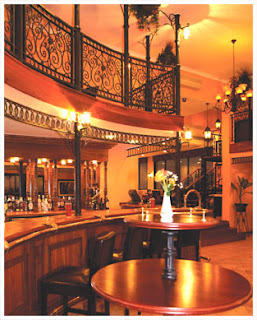 The idea is to host a jazz evening filled with fabulous entertainment and to raise funds for a worthy cause. We want to help. Musicians like myself will perform for free...as their contribution to the cause. We'd love to get items for auction on the night too. CDs, air tickets...anything you can think of. Let's do whatever we can to help. Escondido, CA (PRWEB) February 1, 2011 -- Joett, a Tanzanian singer songwriter and vocal coach who previously flew to London and Dubai to produce his debut single Afro Lover in 1996, has discovered a more cost-effective way to produce the high quality sound he was accustomed to, but without the long haul flights and travel expenses. Speaking of his forthcoming debut album Vintage In Color he says, “I will record the entire album long-distance, using the Internet. It’s so liberating.” Next up his marketing sleeve is a Valentine’s Day music video concept where he plans to invite shopping mall passersby and his fans around the world to face the camera and scribble the name of the one they love on a placard above the title of his new song “I Could Never Live (Without Your Love)” for inclusion in the new Joett music video. Read the full press release here! Wanna Send Valentine's Day Message in My Music Video? Hi everyone! A lot has been happening SO fast! My song "I Could Never Live (Without Your Love)" has heaps to do about love, and so I've decided to give you a spot in my upcoming Valentine's Day video for YouTube, which will feature my new single and YOUR FACE and MESSAGE to the one YOU LOVE! In this unique concept my crew and I will hit Dar es salaam’s largest shopping mall, Milimani City, to invite passersby (and YOU) to scribble the name of the one they love on a placard above the title of my new song “I Could Never Live (Without Your Love)” ... so their messages of love can appear in my new music video. I'm also inviting YOU to drop by at the Mall Saturday afternoon on February 5th. I'd love to meet you and to take a shot of you sending a Valentine's Day message to the one you love. Obviously, I will email you a link to the final video when it is complete...So you can send it to the one you love AND to your friends! Don't live in Dar es salaam? No worries. Take a small whiteboard. On the whiteboard in marker you will write "I Could Never Live Without Your Love!" Write the name of someone you love on the white board ABOVE the song title and hold it up (making sure all the text is big enough that it will show up in the video or photo). Have a photo or quick video taken of you holding the sign. That's it! Send your clips/pics to info[at]joettmusic[dot]com and I will email you a link to the final video when it is complete. Princess is a British singer, who in the late 1970s worked with the group Osibisa. Her first solo album Princess (1986) was composed and produced by Stock Aitken Waterman which contained the single, "Say I'm Your Number One". I love this number. It has so much thrust..."Saaaaay I'm Your Number One" and I think, if you work this track you can very much improve your thrust. What I mean by thrust is: that extra push that sustains your vocal to make it sound fuller, with more timber; more va va voom (vroom). Please Google for lyrics and MP3 Download. SINGING TIPS: Pay attention to the way she uses her voice. You will need to breathe before each note (if you're one of my students you'll know what I'm alluding to here). Check out that descending scale she applies to the word "one". Focus on the accelaration that preceeds some the high notes in this song, and give it all you've got. DON'T shout! It's not about shouting. If you're one of my students you'll know exactly what I mean by this. Any questions? Feel free to holla.